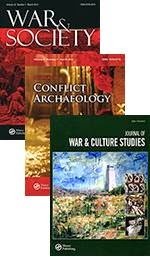 Journal of War & Culture Studies, Journal of Conflict Archaeology, War & Society. - Remembering War, Resisting Myth: Veteran Autobiographies and the Great War in the Twenty-first Century, Journal of War & Culture Studies. You can visit the WW1 Centenary Collection at this site.